Rabbit & Bear: Rabbit’s Bad Habits by Julian Gough and Jim Field is an illustrated transition book from beginning readers as move from picture books to chapter books. Bear is a kind animal who is woken up from hibernation, but Rabbit is a disgruntled creature who has some bad habits, like eating his poo. When the characters are introduced, you expect to see who robbed bear of her food, since the robber supposedly stood on her nose, but the robber seems to vanish in thin air. The illustrations in this story are gorgeous, right down to the wisps of snow falling. Bear calmly handles Rabbit’s cranky retorts and doesn’t even blink at being called “Idiot.” Personally, this household shies away from those words because they are hurtful and can have long-lasting effects, but kids in my daughter’s school and at her age certainly do use that word and others that are far worse. While I don’t like the use of it, I can see how it mirrors a child’s reality on the playground — only here the kids are animals and the playground is the forest. My daughter reached for this book the moment it entered the house and started reading while eating breakfast. She didn’t eat much before school that morning. She was too absorbed in the story and she easily read the first pages on her own. Because it still has pictures, it helped keep her engaged with the story. Talk of gravity and digestion, as well as how to build the best snowman, pepper the pages. Kids will learn something while laughing at the antics of these animals, and they’ll be thankful they did as they find Rabbit is later in peril. Despite a few initial bumps, Rabbit & Bear: Rabbit’s Bad Habits by Julian Gough and Jim Field ended up being a good story about overcoming initial differences and finding a friendship based on caring and giving. Benjamin Franklin’s Wise Words: How to Work Smart, Play Well, and Make Real Friends by K.M. Kostyal offers kids a selection of 50 pieces of advice and anecdotes about one our nation’s founding fathers, Benjamin Franklin. Some of these wide phrases were adapted from other sources that inspired Franklin. They range from how to act in public to how to make real friends. These phrases are translated for more modern audiences, and they are accompanied by colorful and funny illustrations. The back even includes information on some of his inventions. These phrases aim to promote self-improvement, mindfulness, and diligent work. In the introduction, readers will learn that Ben Franklin only went to school until age 10, but he invented a number of devices, ran his own newspaper, and became one of the founding fathers of America. One of the best pieces of advice is that you should always do what is right even when it is hard to do the right thing. He also advised that we cram every day with good things, good discussions, good work, and good times with friends. Something I’m always telling my daughter is to do what she says she’s going to do so that people know she can be counted on. My daughter listened while I read some of these out loud, but much of her attention and questions were about the illustrations. Lest you think she missed the point, even though these illustrations are fun and colorful, they do illustrate the points in Franklin’s advice. I really love the reminder that you should pay attention to who and what is before you, rather than looking at your phone or checking messages, or playing video games. Attentiveness is important. Benjamin Franklin’s Wise Words: How to Work Smart, Play Well, and Make Real Friends by K.M. Kostyal is a fun book to offer Franklin’s advice to kids. 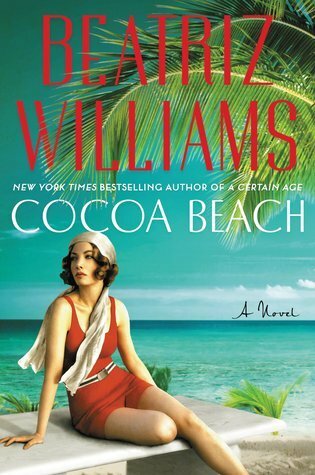 Cocoa Beach by Beatriz Williams for review. National Geographic Kids: Weird But True! Know-it-All U.S. Presidents by Brianna Dumont for review from Media Masters Publicity. What’s so weird about U.S. presidents? Plenty! Did you know that Abraham Lincoln was a great wrestler? That Ulysses S. Grant got a speeding ticket riding his horse – twice! Or that Benjamin Harrison was afraid of electricity? And let’s not forget that President McKinley had a pet parrot that whistled “Yankee Doodle Dandy” duets with him! In this new single-subject Weird But True book, you’ll have a blast learning that there’s a lot of substance – and weirdness – in every president’s past. Benjamin Franklin’s Wise Words by K.M. Kostyal for review from Media Masters Publicity. Discover history through the eyes of one of the smartest, funniest, and coolest figures from America’s past. This book presents 50 of Benjamin Franklin’s famous “wise words” from Poor Richard’s Almanack, his personal letters, and other writings, with sage advice on everything from good citizenship and manners to friendship and being happy. Sayings are paired with hilarious illustrations and witty translations for modern audiences. It’s a great go-to for inspirational and innovative ways to practice mindfulness, industriousness, and self-improvement. Conceit & Concealment by Abigail Reynolds from the author for review. But she can’t make sense of Darcy. He doesn’t act like a traitor. He risks his own safety to save young women from the French. And how can she despise a man who loves puppies? Something about him doesn’t add up – and she finds him far too attractive. 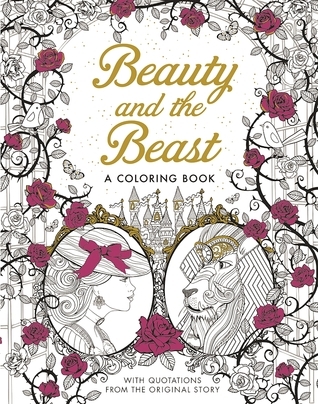 Beauty and the Beast: A Coloring Book by Gabrielle-Suzanne Barbot de Villeneuve, with illustrations by Walter Crane, is a beautifully appointed coloring book for children and adults alike. Kids may have trouble staying in the lines, but the story is beautifully rendered in these pages. The illustrations are intricate and easily hide the spying Beast among the roses and the forest, but Beauty has little fear as she makes her way to the mysterious palace. While there are many pages to color inside the book, there are several pages of patterns that repeat, with swirls or birds or roses. There are few lines of text from the original story, which we had expected to be a bit more of. It’s hard for a younger reader to grasp the scope of this beloved story with so few lines from the original tale. However, my daughter really enjoyed creating her own rose gardens and painting the birds with her crayons and other materials. Beauty and the Beast: A Coloring Book by Gabrielle-Suzanne Barbot de Villeneuve, with illustrations by Walter Crane, is a delightful book for coloring to calm the mind. 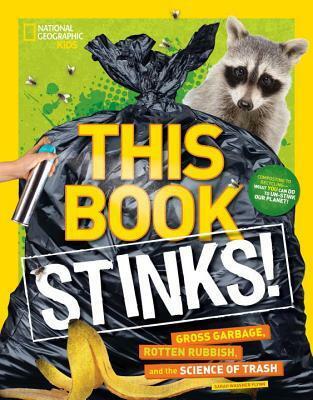 This Book Stinks: Gross Garbage, Rotten Rubbish, and the Science of Trash by Sarah Wassner Flynn provides facts in a bright and engaging way for younger readers and adults. The book is chock full of infographics, quizzes, stats, and so much more, including activities for kids to help them tackle the waste in their own homes and communities. The United States has about 2 million tons of trash that ends up in landfills, and e-waste — old electronics — is an increasing source of that waste, as Americans like to have the next best gadget. It’s disheartening to see how much the United States has fallen behind other developed nations in terms of reducing waste to become the top country in terms of trash. If more people read this book and share it with their children, perhaps the United States can reduce its trash output and get in line with other conserving nations. There are some really engaging activities for kids on learning how to upcycle some of their older things, and there are other topics covered that include organizing community cleanups and reducing your own household waste. One of our favorites (which we already did with lettuce) is using vegetable scraps to regrow vegetables. It can be a fun learning activity for kids on how to not only reduce waste but learn about the life cycle of plants. This Book Stinks: Gross Garbage, Rotten Rubbish, and the Science of Trash by Sarah Wassner Flynn is a book I’m going to donate to my daughter’s classroom because you never can be too engaged in children’s education. This book will provide a great many opportunities for her class to learn about waste and recycling and things they can do at their own homes to make the planet a better place to live. Sarah Wassner Flynn is a fitness and sports writer, a children’s book author, a runner, and a mother. Animal Ark: Celebrating our Wild World in Poetry and Pictures by Kwame Alexander, photos by Joel Sartore, is a gorgeous book for kids — a photographic ark with poems. The images bring forth the magic of Alexander’s poetry from the silly game playing primates to the large rumbling feet of elephants. These short haiku eek out elements of each animal, helping kids identify some of their behaviors and qualities, while engaging their eyes in a play of color. In “Chorus of Creatures” near the center of the book, Alexander draws parallels between the animals in this ark and humans, calling on all of us to show respect for the world around us, or we might just share its end. At the end of the book is a key with all of the animals listed that appeared in earlier pages, and near the bottom is a key where readers can find out which animals in this ark are critically endangered, vulnerable, and more. 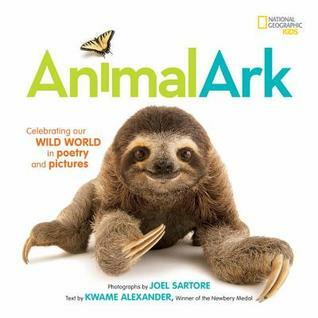 Animal Ark: Celebrating our Wild World in Poetry and Pictures by Kwame Alexander, photos by Joel Sartore, is an ark you need in your home to teach children and adults about the animals on our planet and how we are connected to them. Kwame Alexander is a poet, educator, and the New York Times Bestselling author of 24 books, including THE CROSSOVER, which received the 2015 John Newbery Medal for the Most Distinguished Contribution to American literature for Children, the Coretta Scott King Author Award Honor, The NCTE Charlotte Huck Honor, the Lee Bennett Hopkins Poetry Award, and the Paterson Poetry Prize. Kwame writes for children of all ages. Some of his other works include THE PLAYBOOK: 52 RULES TO HELP YOU AIM, SHOOT, AND SCORE IN THIS GAME OF LIFE; the picture books, ANIMAL ARK, OUT OF WONDER and SURF’S UP; and novels BOOKED, HE SAID SHE SAID, and the forthcoming SOLO. Joel Sartore has produced more than 30 stories from around the world as a freelance photographer for NATIONAL GEOGRAPHIC magazine. He is an author, speaker and teacher who captivates audiences with his funny and inspiring adventures.